Duo is a creative agency run by two creative print-minded individuals. 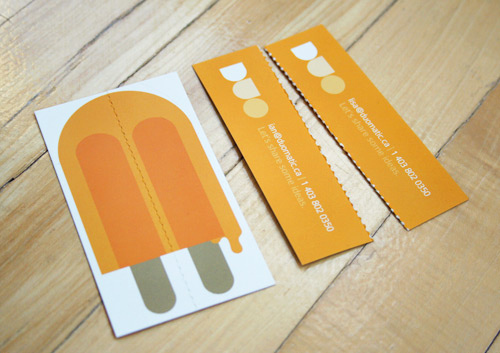 Our approach to our business card was to implement our brand in a clever, creative and delicious way. We wanted to achieve something in a business card that was not only bright and clean, but something that stood out. We like to share ideas and the analogy of sharing a Popsicle really struck us as something genuine and fun...something we like to implement through our creative process.